Ms. Barbara Hughston is the Orchestra director at Georgetown High School. 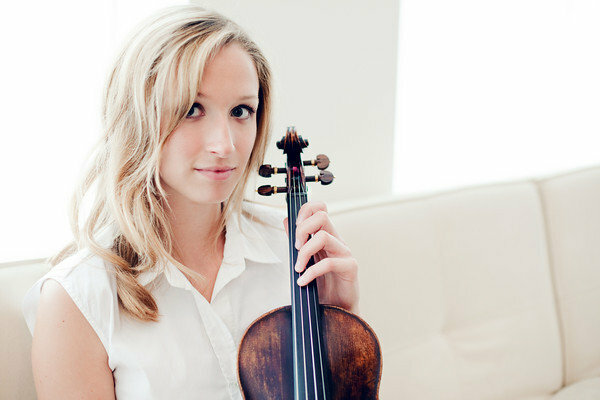 She is a graduate of Baylor University, where she earned her degree in Music Education. Ms. Hughston is looking forward to another year of amazing music with amazing musicians! Originally from Albuquerque, NM, Brett Kroening resides in Austin, Texas as an active performer, educator, and composer with a full studio of over 50 horn students. Prior to returning to Texas in 2015, Brett was on faculty at The New Mexico School for the Arts in Santa Fe, NM as AP Music Theory Lecturer and Orchestra Director during which he led ensemble to back-to-back NM State Orchestra championships. He worked as Composer/Music Arranger for the school as well, a position he still maintains. Studying horn performance, music theory and composition, (University of New Mexico, Metropolitan State University, UT Austin), Brett freelances/teaches/writes in the central Texas area. As a composer, he has received composition commissions from local, regional, and international ensembles and institutions such as Indiana University Jacobs School of Music, Phi Beta Mu Music Fraternity, Wichita State University, Bainbridge Symphony Orchestra, Santa Fe Symphony, line upon line percussion ensemble, Rocky Mountain Brassworks, and The United States Air Force Academy along with many high school ensembles in New Mexico, Colorado, Nevada, Texas and California. Brett’s compositions and arrangements have been performed/premiered in venues such as: The Lensic in Santa Fe, NM, Cadogan Hall in London, England, the Fryderyk Chopin Conservatory of Music in Warsaw, Poland, Die Hochschule Luzern in Lucerne, Switzerland, the Myeongdong Cathedral in Seoul, Korea, and Walt Disney Hall in Los Angeles. He holds the 4th horn position with the Victoria Symphony (TX), and is also serving for his 4th season as Executive Director of Round Rock Symphony. This will be Brett’s first year as co-conductor of Vivace Youth Orchestra.